News, updates, and musings from the Massachusetts library community. Guests were invited to sample an array of sweet and savory scones , tea cakes as well as finger sandwiches enhanced by lemon curd and jam. Fragrant pots of “Afternoon Revival” or Darjeeling tea were served on delicate Limoges china. Local tea expert and entrepreneur Lisa Tavakoli provided a short but fascinating overview of the British consumption of tea and related how, in spite of hardship, tea remained an absolute necessity to the British people during the dark days of the war. After enjoying light refreshments, library outreach coordinator Thomas Cummiskey invited people to write Plymouth themed postcards that will be sent to residents who use the local Guille- Allès Public Library in Guernsey. Some older residents shared memories of Plymouth during World War II and others discussed similarities between two communities that have both a strong maritime tradition and serve as a popular tourist destination. Participants were invited to continue the dialogue in the coming month when Netflix is slated to release a movie based on the book. 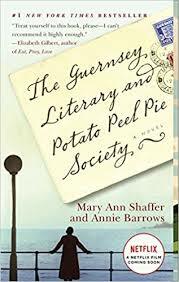 The library will hold a live skype from Guernsey and later screen the film followed by a discussion program. 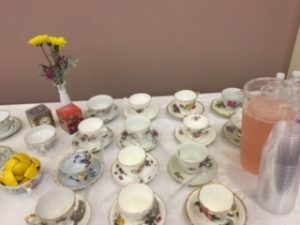 The opportunity for everyone to come together and engage in a calm and enjoyable discussion over a cup of tea is a welcome reminder of the unique service that the Plymouth Public library provides to its community. 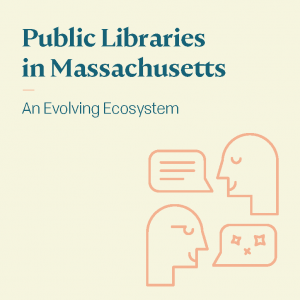 After over a year of hard work, we have completed our “Evolving Ecosystem” report with Watertown based design and planning firm Sasaki and help from Massachusetts library patrons and staff who filled out our statewide survey last summer. After the Your Voice Your Library surveys last summer and a deep dive into the ARIS dataset, Sasaki produced a written report and an interactive website that’s helping us understand how important the cooperative system we have in Massachusetts is, and start to look as how this information might help shape the ecosystem in the future. It’s also become clear that this report is valuable to everyone in the MBLC and in libraries across the state – not just the construction program. This is only the beginning of the process, though. We are now in the process of gathering responses and feedback from the library community, to help us determine what we do with this data, and we want to hear from you! As of this writing, there are still two more community meetings, scheduled on July 10 in Tewksbury and July 17 in Plymouth. We are also looking for volunteers for a statewide Ecosystem committee to guide us in where we go from here. 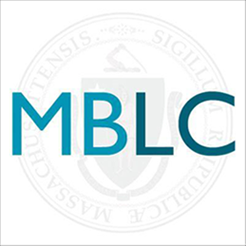 Take a look at the website at https://mblc.state.ma.us/ecosystem and use the contact form there for your input, or you can email us at ecosystem@mblc.state.ma.us. We want your thoughts! You can learn more about the study here. The MBLC offers an innovative category among our LSTA grant options for libraries that have come up with a unique solution to address a community need. 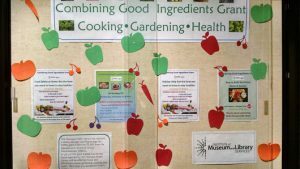 One of this year’s innovative grants is Chicopee Public Library’s “Combining Good Ingredients”. Many Chicopee residents live with food insecurity, in poverty, and/or in poor health. The library was approached by several local organizations looking to partner with it to help solve these pressing issues. The library’s central location and frequent hours combined with mobile outreach via the Bookmobile make it a natural hub for the collaborative efforts of the various community groups that serve Chicopee in terms of food needs. Recognizing the need in the city and the impact they could have, the library applied for and received an innovative grant. With their grant, Chicopee Public Library has offered numerous programs that educate and entertain in order to encourage healthy eating, gardening, and cooking. Programs offered included Mediterranean Cooking, Pollinators in your Garden, and Soup’s Up, an intergenerational story time. Focusing on programming is giving patrons the opportunity for hands-on learning and the ability to ask questions in the moment. It has opened the door of the library to residents who might not be readers or who do not want to take home books and videos. The cooking and gardening programs have been the most popular, though attendees have been very enthusiastic about all that has been offered. Nearly all the participants said they learned something new and that they would make changes from what they learned. Plus, they plan on coming back for more programs! The library has also found some unique ways to carry out the grant beyond programming. A very popular collection of food toys has been added to the children’s room. Parents mention that having story times with food have given them ideas about how to use food toys at home with their children. The traveling art exhibit “Food for Thought: The Origins of Massachusetts Foods and Why It Matters” from the Commonwealth Museum was on display in January. If anyone looking to donate some seeds, the Chicopee Public Library will be happy to add them to its new seed library. And coming later this summer will be a portable pizza garden! Through the Bookmobile, the Library is reaching members of its community who could greatly benefit from this project and might not use the traditional brick and mortar building. In the coming months, Bookmobile stops will include a pop-up food pantry with Lorraine’s Food Pantry. Additionally, ChicopeeFRESH (a grant funded farm to school program) will distribute fresh vegetables at Bookmobile stops during the summer months. With this project, the library is trying to be part of the solution by offering opportunities and resources that allow Chicopee residents to make better and smarter choices. Through strong partnerships, hands-on learning, and targeted outreach, Chicopee Public Library shows what an innovative force in the community looks like.